On order, Hawaii Army National Guard provides unit based operational forces to execute global unified land operations in support of Combatant Commander’s and community based domestic operations to restore public health and safety, and restore essential government services in support of the Hawaii governor. 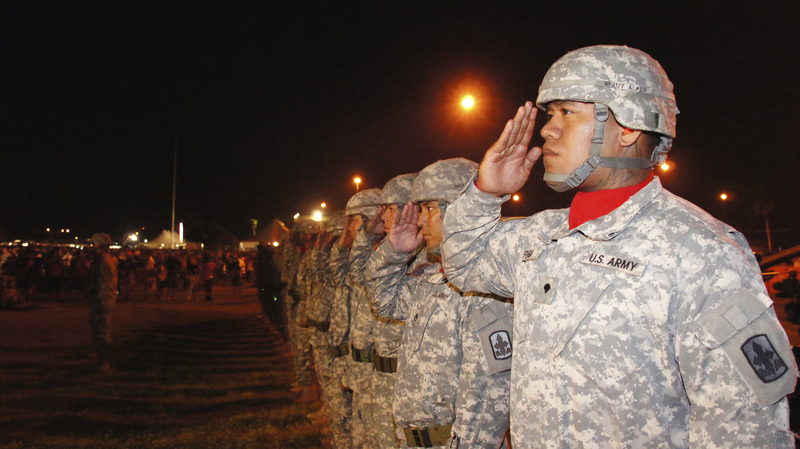 Personnel As of September 2014, the assigned strength of the HIARNG was more than 3,000 Soldiers. The HIARNG, commanded by Brig. 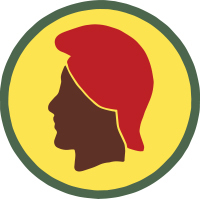 Gen. Bruce E. Oliveira, is composed of a Headquarters, HIARNG, and three major commands: the 29th Infantry Brigade Combat Team, the 103rd Troop Command, and the 298th Regiment Multi-functional, Regional Training Institute. Hawaii Army Guard units and installations are located in communities on the islands of Hawaii, Maui, Oahu, Molokai, and Kauai. Headquarters, Hawaii Army National Guard The headquarters consists of staff sections responsible for establishing and coordinating policies, guidance, and resources. The functional areas of the staff sections include personnel, plans, operations, training, logistics, maintenance, army aviation, facility management, information management, safety and occupational health, and medical readiness. • HIARNG provided individuals and an adhoc staff to fill joint staff positions within the US Forces Korea (USFK), and the 2nd Operational Command, ROK Army during Exercise KEY RESOLVE and ULCHI FOCUS GUARDIAN 2014. The goal for the HIARNG is to establish a habitual relationship with USFK and 2OC in order for HIARNG to provide trained personnel who can fill key billets in these joint staffs with no train up required. • Mission commanded Hawaii National Guard units and coordinated efforts with active duty units in the Pacific Theater Event tsunami exercise, the state’s hurricane Exercise MAKANI PAHILI, and conducted National Guard Domestic Operation support for Hurricane Iselle and Hurricane Ana. The RRC works directly for the HIARNG commander and supports all subordinate commanders and their units in recruiting members to fill valid vacancies and retaining HIARNG’s best and brightest Soldiers in the Guard. The RRC also conducts the Recruit Sustainment Program (RSP) at the Regional Training Institute in Waimanalo. The HIARNG RSP has been rated overall as the top performing program in the nation during past years and consistently remains as one of the top five programs each and every month. This program is a formal process for indoctrinating and preparing civilians off the street for successful completion of their Initial Entry Training (IET) or “Basic Training” courses and consistently produce distinguished honor graduates at these courses. The State Medical Detachment plans, programs, provides and sustains health force protection and medical/dental support to meet operational, training and mobilization medical readiness requirements of HIARNG units and Soldiers. • Ranked number one in medical readiness for ARNG • Achieved the highest percentage of medical readiness in the ARNG – 92.6 percent.